Take advantage of recreation opportunities such as bicycles to rent, or other amenities including complimentary wireless Internet access and a ballroom. 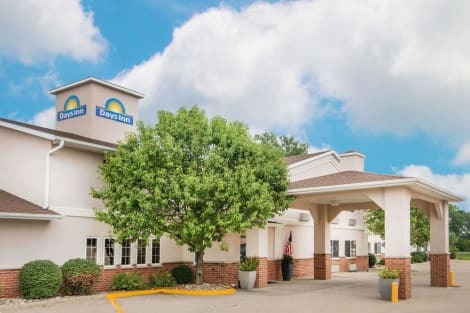 With a stay at AmericInn by Wyndham Ottumwa in Ottumwa, you'll be a 2-minute walk from Wapello County Historical Museum and within a 5-minute drive of Memorial Park. This hotel is 17.6 mi (28.4 km) from American Gothic House and 20.1 mi (32.4 km) from Davis County Historical Society Museum. Take advantage of recreation opportunities such as an indoor pool, or other amenities including complimentary wireless Internet access and a fireplace in the lobby. This hotel also features a picnic area and barbecue grills. With a stay at Super 8 by Wyndham Ottumwa in Ottumwa, you'll be within a 10-minute drive of Memorial Park and Wapello County Historical Museum. This motel is 23.1 mi (37.1 km) from Davis County Historical Society Museum and 23.2 mi (37.3 km) from American Gothic House.